The Money Advice Service (MAS) is changing – but don’t worry! You’ll still be able to make the most of the tools and calculators, use the contact centre and find free money guidance on the website. The biggest change is that MAS have joined forces with Pension Wise and The Pensions Advisory Service (TPAS) to become the Money and Pensions Service. All the services currently being provided by the three organisations won’t be interrupted by the change. The whole vision is to help everyone make the most of your money and pensions. For the time being, MAS, TPAS and Pension Wise will still be using their current names on their websites and social media profiles. 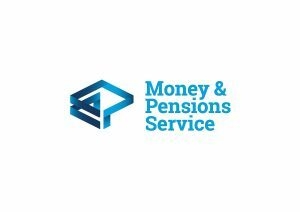 You can visit the Money and Pensions Service site to take a more in depth look at their aims and follow their progress as they get ready to launch a new integrated service. Over the next couple of months, the team will be visiting ten major cities around the UK. They’ll be listening to what local councils, charities and other experts in your region have to say about how they can be even more helpful with getting people to make the most of their money and pensions. Learnings will be taken from these events to shape what the Money and Pensions Service will be doing to make it easy for you to get the money and pensions help that’s right for you, whenever you need it.